At Moore & More Plumbing, having been around since 1986, we have taken care of countless electric water heater jobs. As the preferred local choice for plumbing services, we have taken care of a lot of every kind of service in this industry. However, electric water heaters in Austin remain the most popular choice. You will feel good working with us because you will be able to tell a difference with our approach to work as opposed to the competition. Aside from being courteous, all of our Austin plumbers are also knowledgeable and experienced. We educate and train our employees in customer service, as well as on the latest repair and installation techniques. Part of our job though is also to educate our clients on the options they have. How can you make a choice you will feel good about without having the information you need? Let us work with you to ensure that you get the information and quality service you need. The cost of the system and installation is more affordable than other options. This is a less involved task so the upfront cost is not as great. Safety is a big factor to figure into the equation as well. While quality gas water heaters do not run a high risk of incidence, there is still a risk. Plus, the risk of a resulting explosion from a gas water heater is higher than the electrocution risk from an electric water heater. A gas tank also takes up more space while an electric one is smaller. A gas water heater requires up to 18 inches of ventilation on all sides so this also limits the options that you have for a location. The bottom line is that it eventually comes down to a matter of personal preference. However, it certainly doesn't hurt to have the data you need to make an informed decision. Call today to find out more. 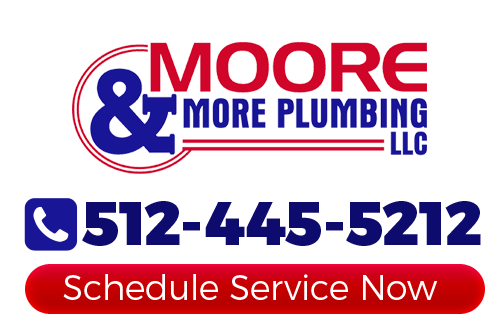 When you find yourself in need of services for your electric water heater, you can count on Moore & More Plumbing. 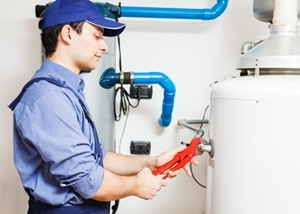 From electric water heater installation to repairs and replacement, we will be there for you. You should never have to settle for inferior service or water heaters in Austin. With us you get quality results that are second to none. Your residential or commercial plumbing is of the utmost importance so don't take chances with the quality of work you get. If you would like an estimate for electric water heaters in Austin, please call 512-445-5212 or complete our online request form.